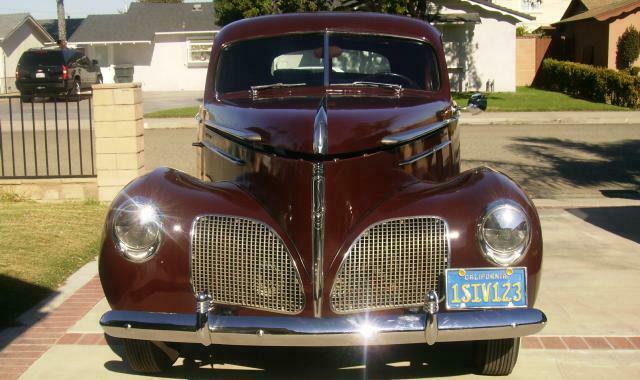 This sharp looking 1940 Studebaker Commander 2-Door Club Sedan belongs to Aris Villavicencio of Oxnard, California. 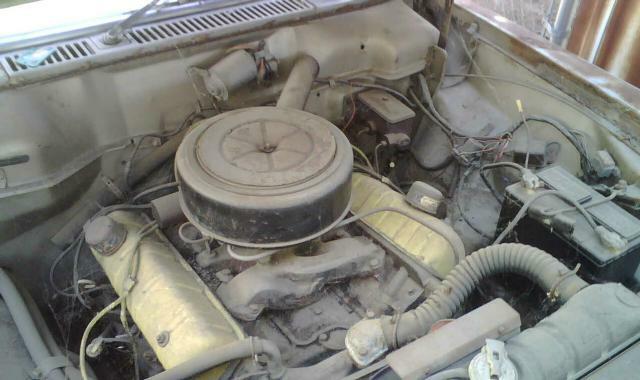 Aris bought his Commander in 1968 for $150 and is the fourth owner. The car was a light green which Aris changed in 1970 to beige and also the had upolstery redone in brown and gold leather. 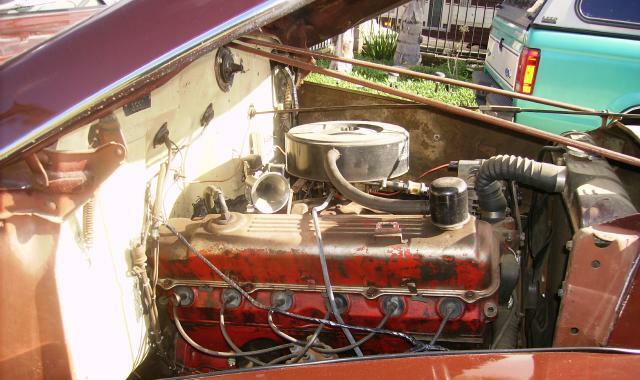 After experiencing problems with the original engine and transmission, he replaced the driveline in 1990 with a 1973 Dodge Dart slant six and automatic transmission. Here is a another shot of the engine area showing the conversion. 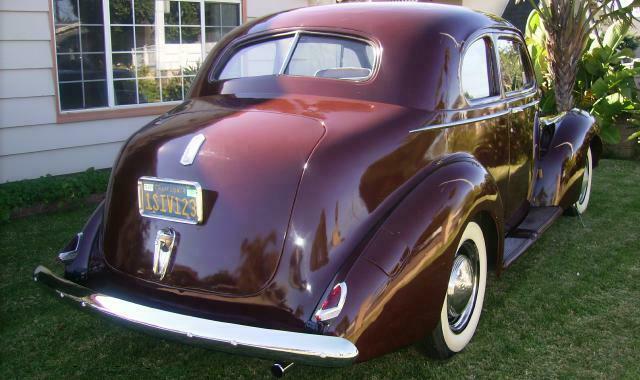 The car was repainted in a Porsche brown in 1993 to match the interior and the bumpers were rechromed. The car has remained basically the same since then. Aris has owned his Commander for forty years and continues to enjoy it. The car is an interesting combination of stock exterior and interior combined with a relatively modern engine and transmission. Thanks to Aris for sending the pictures and information on his car. 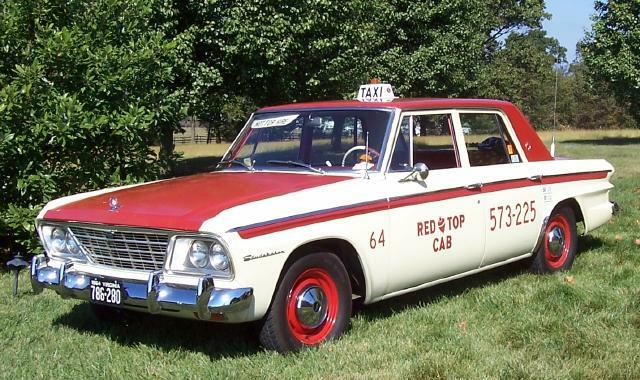 This rare 1964 Studebaker taxi cab belongs to John Kelley of Bristol, Virginia. 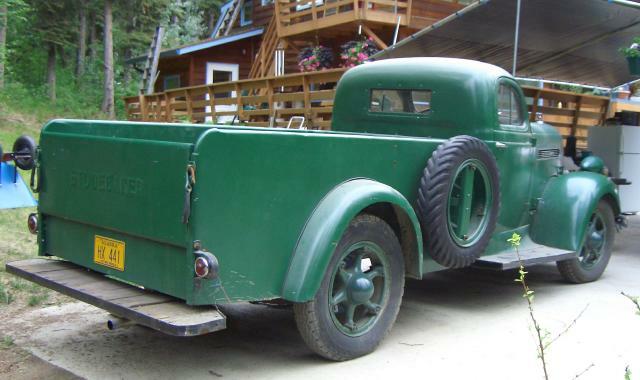 John has owned this interesting vehicle for many years and has kept it in top condition. One unique feature of this model is an outside hood release as shown above. This was done to facilitate checking the engine oil and other fluids. 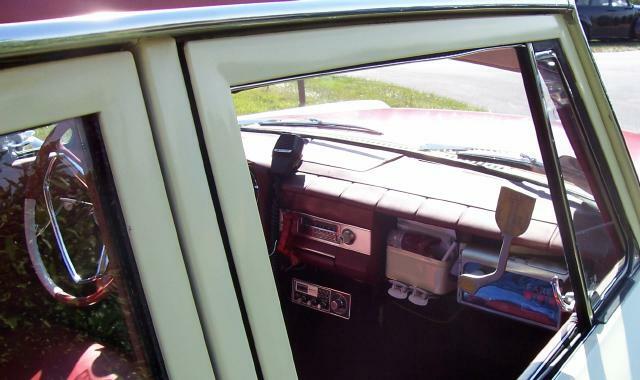 Regular 1964 Studebaker sedans used an internal hood release located under the dash. 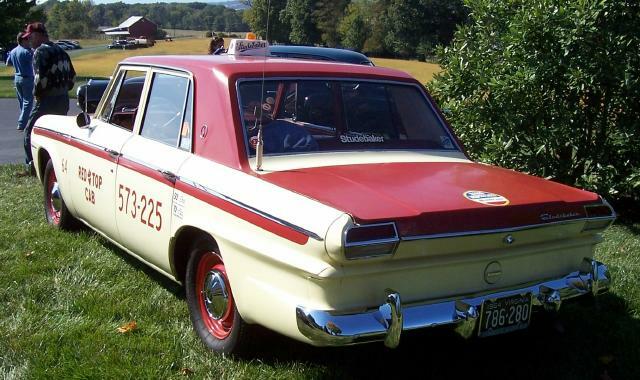 Although John's taxi has Commander trim, only "Studebaker" nameplates appear on the body. Here is a shot of the passenger's side of John's cool taxi. 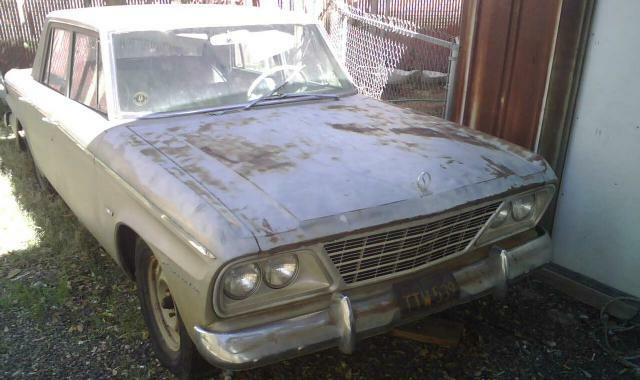 John also owns 1963 Studebaker Lark Wagonaire and a 1963 Studebaker Cruiser. The pictures were taken at the October 2007 Greater Virginia Meet in Bridgewater, Virginia. Studebaker made a serious effort to sell taxi cabs based on the Lark body and I recall seeing a number of early 1960's Lark cabs in New York City. 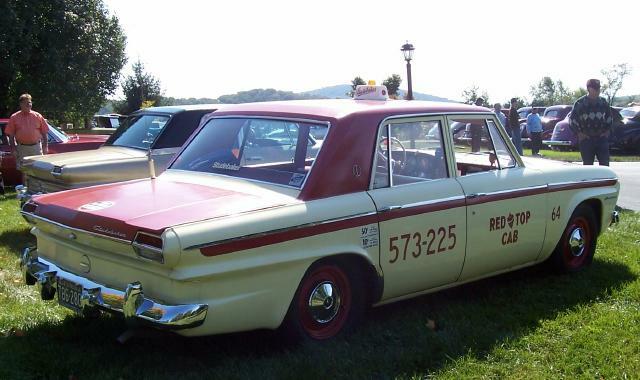 I also recall seeing a 1964 Studebaker taxi in Plattsburgh, New York during the summer of 1965 when I was there for Air Force ROTC training. 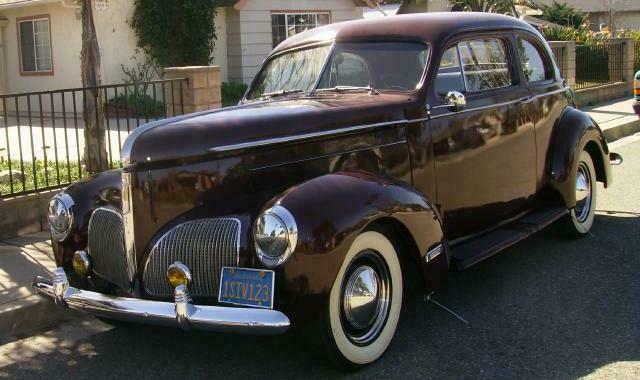 It is unlikely that many Studebaker taxis of this era have survived given the rough life they lived. 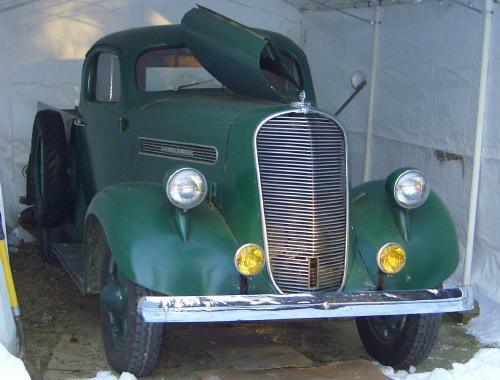 This rare 1938 Studebaker K10 Fast Transport Express belongs to Sam Simmons of Fairbanks, Alaska. 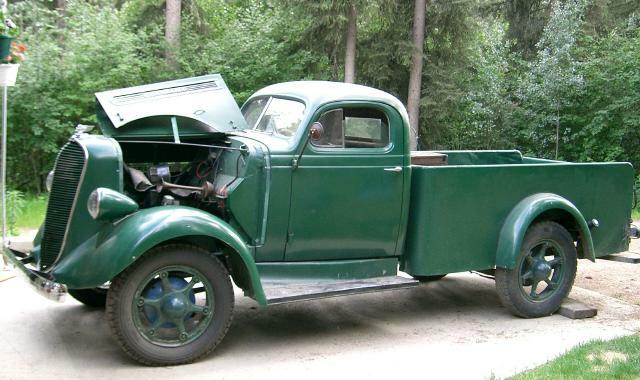 It is a rare truck, with only 1,003 K10 one ton rated trucks made from 1937 to 1940. Of these, only about one hundred were equipped with the five foot by eight foot "Wide Express" bed. 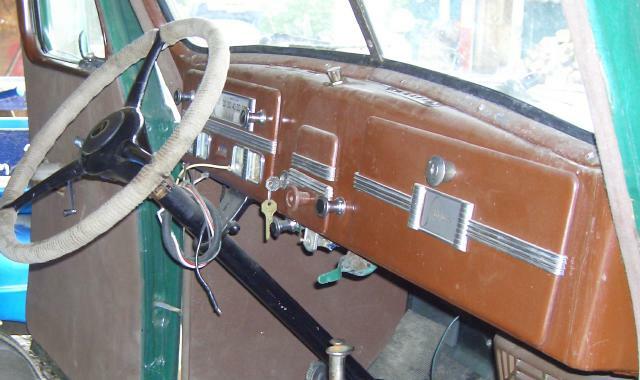 The dash on the 1938 K10 is essentially the same as on the 1937 Studebaker Dictator car. The handsome K10 Fast Transport Express was designed by Raymond Loewy Associates. Here is a front view shot of Sam's fine truck sheltered from the snow. 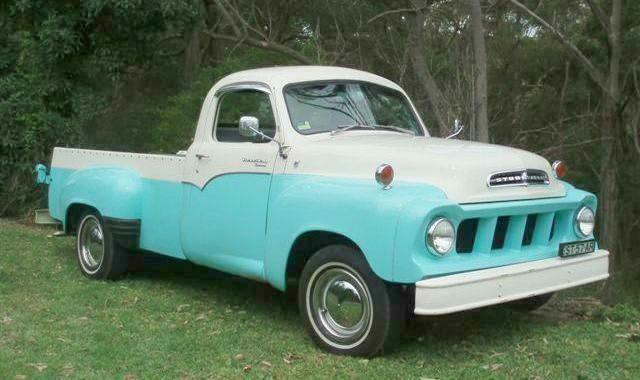 Sam also owns a 1963 Daytona Hardtop and his son Cameron has a 1958 Transtar Pickup. 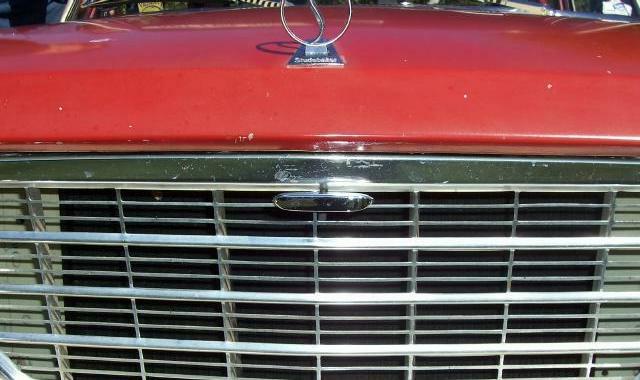 Thanks to Sam for sending the information on his rare and intersting truck. 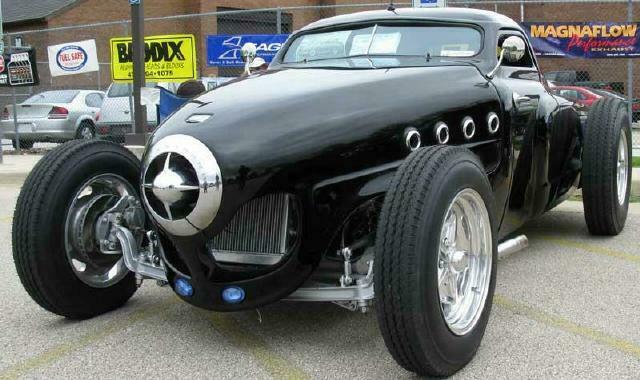 Frank Drumheller sent in this picture of a radical 1950 Bullet Nose Street Rod. It was spotted by Michael Balogh at a local car show in Champaign, Illinois. As best as I can tell it appears to have started life as a Champion Business Coupe, although it could be a cut down Starlight Coupe or sedan. Michael commented that the car shows a great deal of imagination which it certainly does. 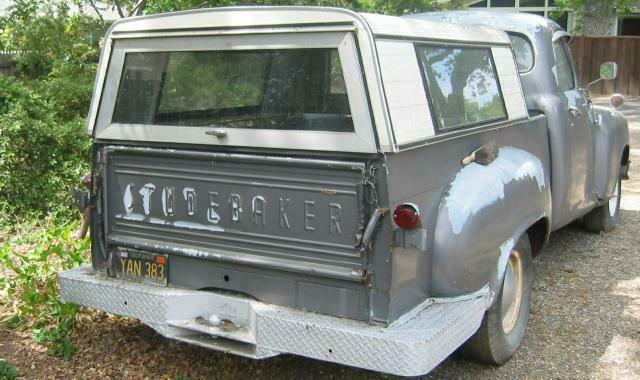 Thanks to Michael and Frank for sharing this picture of what is certainly a unique Studebaker based vehicle. Here is another picture from the October 2007 Bridgewater Meet. This 1956 Studebaker Tilt Bed Truck is part of Chester Bradfield's extensive Studebaker collection. It is currently configured as a stake bed with removable sides. Chester notes that the truck has full working hydraulics. 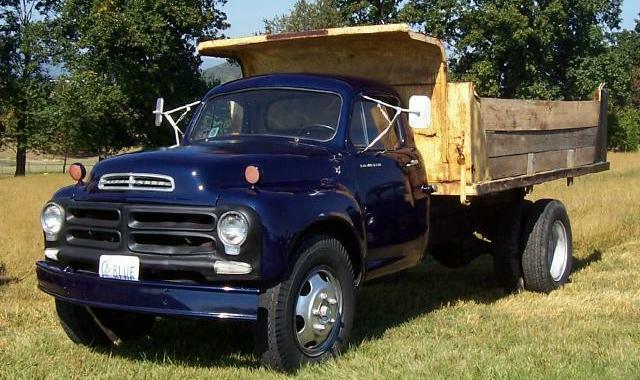 Studebaker truck expert Frank Drumheller indicates that this is a Model 2E38-55 with a two ton rating. The truck is equipped with a 5-speed transmission and 2-speed rear axle. Frank says that the wheels are from a newer model which makes the truck sit lower than original. Here is a rear angle shot which shows the large differential case for the 2-speed axle. Thanks to Chester and Frank for the information on this interesting truck. 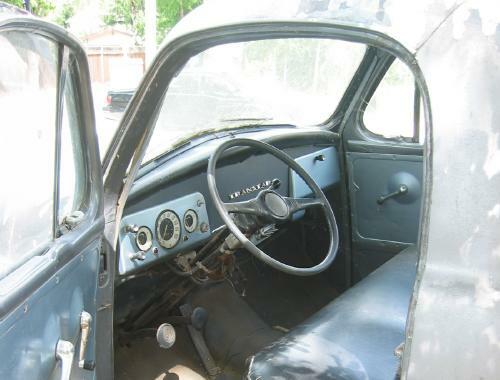 Lila Colridge sent these pictures of a 1958 Transtar Pickup that is in need of resoration. The truck belonged to her father-in-law and has been sitting for some time. The camper top is too short for the bed and Lila indicates that it is just there to keep it out of the way. Here is a picture of the interior. The truck is located in California. 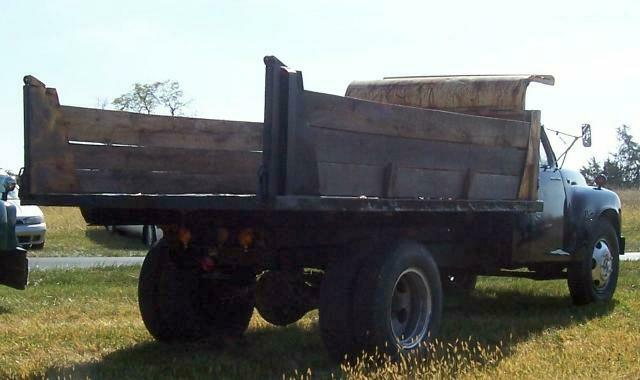 This is a relatively rare truck that with some work could be made to look like this. The truck is for sale so if anyone is interested, they can contact Lila here. 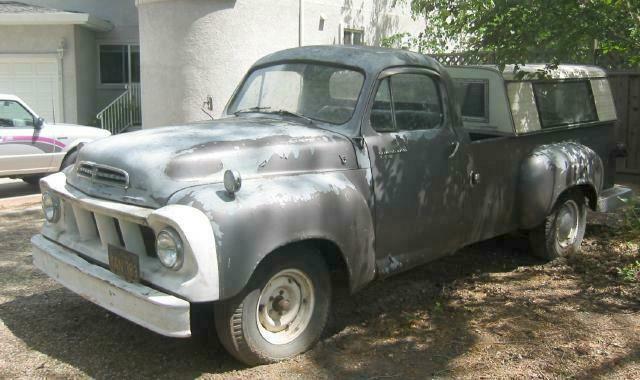 This looks like a nice restorable truck worth saving. Thanks to Lila for sending the pictures and information. 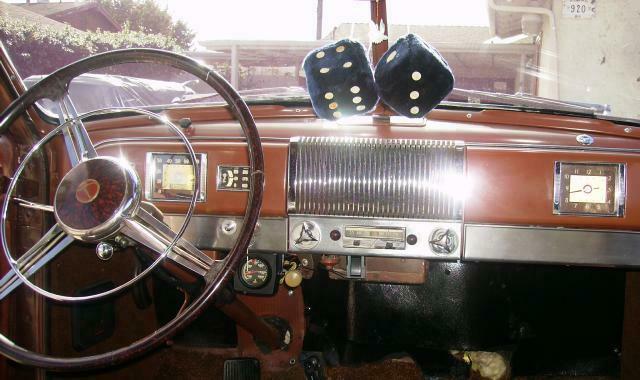 Erik Albrecht sent these pictures of a 1964 Studebaker Commander 4-Door Sedan that was given to him. 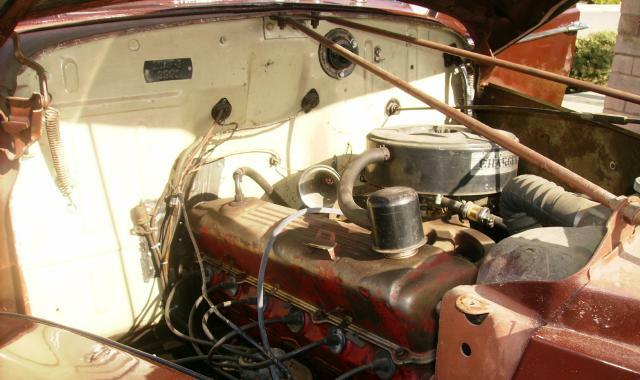 The car is equipped with Studebaker's 259 cubic inch V8 and Flightomatic automatic transmission. Erik intends to fully restore the car starting with the drivetrain. Erik's car has a two-tone steering wheel so I believe it was produced in South Bend prior to the closing of the plant in December 1964. 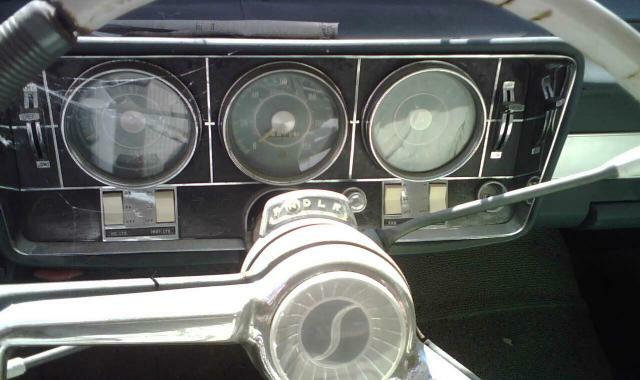 I once owned a 1964 Commander that was produced in Canada, and it had an all white steering wheel which I believe was standard for Canadian production. 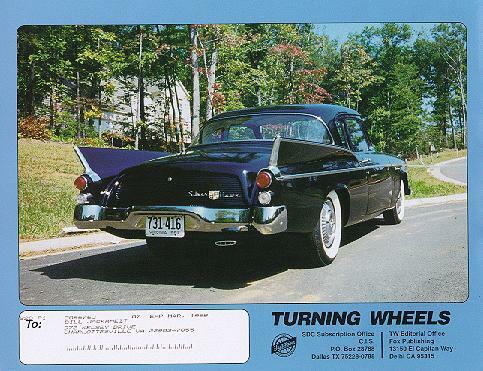 A total of 27,289 4-door sedans were produced in the U.S. and Canada for the 1964 model year. Most of these were Commanders, but relatively luxurious 4-door Daytonas and Cruisers were also part of the mix. Thanks to Erik for sending the pictures of his recent acquisition. There has been a tendency to feature expensive collectible toys in this section, so here is one that everyone can afford. 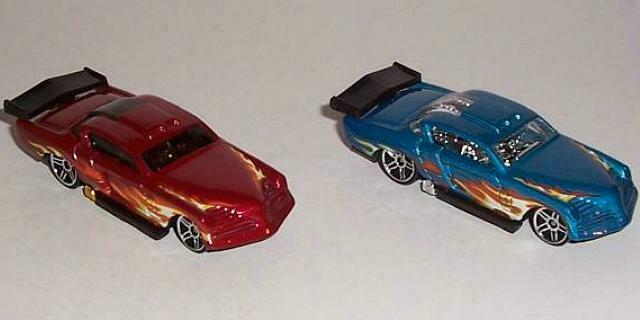 The 2008 Hot Wheels line includes two variations of the "At-A-Tude" which is a modified 1953 Studebaker Starliner Hardtop. These are Collector Number 89 which is Number 13 of 24 in the Web Trading Series and each comes on a blister card with an image of the model in red or blue. Here is a picture of both variations on their unique blister cards. 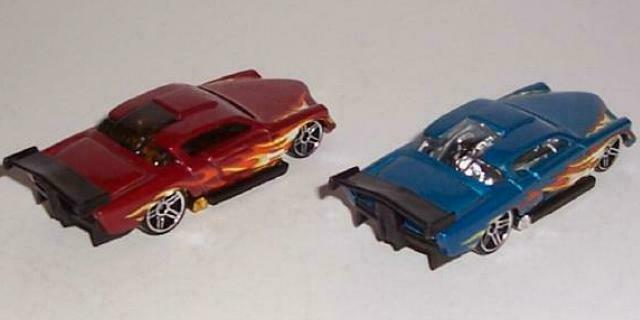 Most Hot Wheels come on a generic blister card, the Web Trading series being an exception, so these are somewhat special. 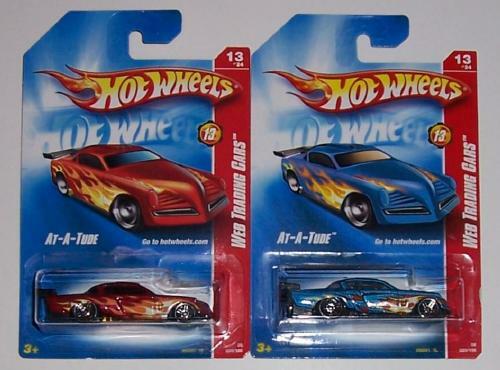 If you can't find these in your local store, they are availble from my Studebaker Toys for Sale website. More toy Studes can be found in the Stude Stuff area of this page and on my Studebaker Toys Home Page.